Billy Bear can’t wait to be your baby’s bedtime buddy. Just pull the cord and let him soothe baby to sleep with his sweet lullabies. 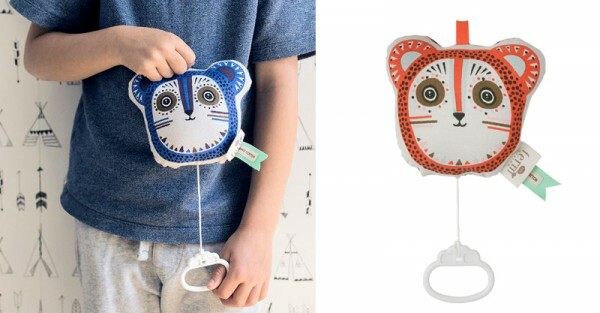 Small enough to pack for travel, any one of these cute musical mobiles from Danish designers Ferm Living can help your baby drift off to the land of nod whether at home or on holiday. 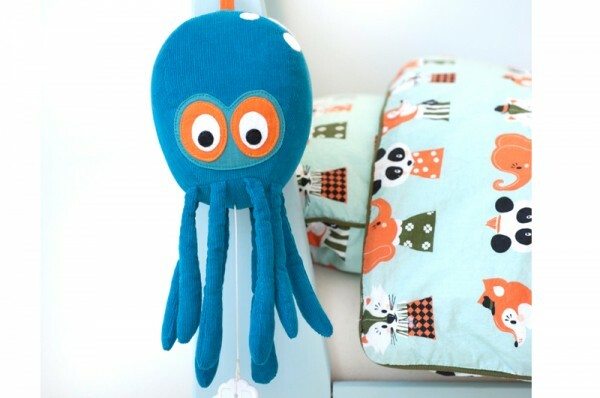 Available in a range of cute and quirky animal designs, such as Owl (seen at top), Billy Bear, Horse and Whale, they’re a great gift for a newborn and will fit well in any nursery thanks to their simple classic colours. Ferm Living designs have that appealing Scandinavian style and retro charm – but updated with a distinctive graphic edge for a stylish contemporary look. 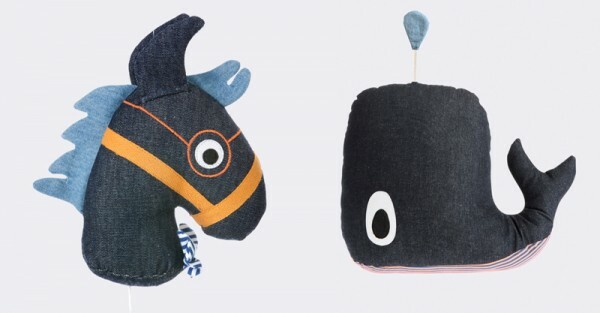 Each mobile is made of 100 per cent organic cotton, filled with polyester and plays a classic tune like Brahms’ Lullaby. To clean simply wipe with a damp cloth. Available from Ferm Living for €27, or there are a few styles on sale at Ferm Living Australia for $20 plus shipping if you’re quick!